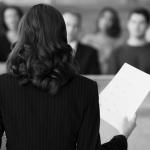 What is a Professional Investigator to an HR Professional or Business Leader? A PI Huh? So, You Follow Cheating Spouses All Day? 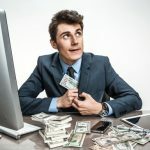 If I had a nickel for every time I have heard this from someone at a networking event… Truth be told, we understand this common misconception, especially from anyone who has never worked with a Professional Investigator before. To each person, depending on their own personal experiences, we may be a different kind of duck, maybe even a platypus to some! What does a PI actually do? 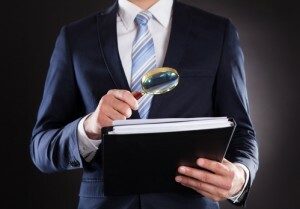 Much like lawyers, Investigators often focus on very specific types of investigations, whether it is because of the investigator’s background, expertise or a local need, there are actually fewer investigators who cover the entire spectrum of investigations – you know the equivalent attorneys who do everything from Estate Planning to Plaintiff Law and every type of Criminal Defense in between. Oh, and they can help with Tax Law too if you know anyone who needs help! If you are an HR professional, you know Professional Investigators as the premium solution to performing employee background checks, a resource to investigate workplace misconduct, time theft or disability fraud. You are aware of the value of having a licensed investigator carry out the background checks on candidates to prevent future HR Issues and ensure the accuracy of the information you have on hand before making hiring decisions. As a business leader or corporate attorney, you know your Investigators as the people who can get you answers to specific business problems, check out vendors, contractors or potential investors and partners. You ask us to track down and locate people, investigate executive candidates, work with your staff to prepare for litigation, protect your intellectual property or investigate those infringing on your patents or trademarks. You can be sure that there are no television dramas or reality shows about this type of work! 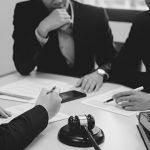 As a Business Leaders, HR Professionals or Corporate Counsel you know what your Professional Investigators can do for you, and are probably reaping the benefits of having a solid relationship with an investigator you trust. At ASG, we serve professionals just like you who know the value of our industry-specific services and are benefiting greatly from the impactful information and problem solving we offer. If you don’t currently have an Investigator that you work with or are working with one who “mostly just handles cheating spouse cases” we urge you to consider contacting our team to discuss your specialized needs.